Coryza Forte by Progressive Labs seeks to support immune system and upper respiratory health. Help your body with seasonal challenges. Maintaining immune system health can be a real challenge sometimes, with toxins, microbes and other interference constantly present. 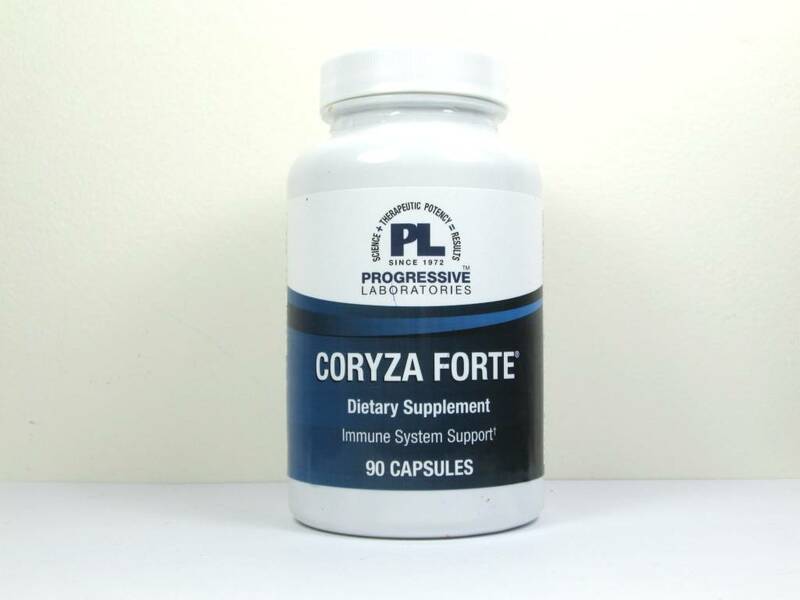 Progressive Laboratories offers a professional-grade dietary supplement called Coryza Forte that seeks to promote immune system and upper respiratory health. Coryza Forte provides support for the number and strength of cells throughout your immune system, thanks to its nutrient and phytochemical content. This environment promotes a healthy immune system. 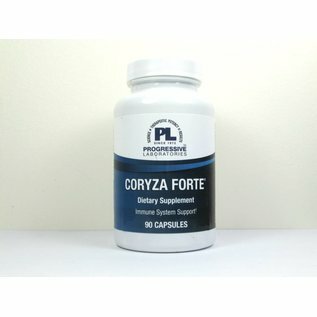 Progressive Laboratories' Coryza Forte comes in a capsule form that is easy for adults of all ages to swallow, and should be taken three times every day to give your immune system the support it needs. Give it a try today and see the difference it may be able to make for you. Other Ingredients: bee pollen, bovine trachea, bovine thymus, porcine adrenal, porcine lymph, porcine spleen, RNA, rose hips, rice flour, vegetable lubricant, gelatin. May contain traces of lactose (milk) used in processing. Adults: Take 1 capsule 3 times daily, or more as directed by your healthcare professional.